Hot dip galvanizing provides a high level of corrosion protection due to the slow rate at which it corrodes in an atmospheric environment. Part of the protection is provided by a zinc carbonate patina, which forms on the galvanized surface over a period of time by reaction of atmospheric carbon dioxide with a thin layer of zinc oxide which forms immediately after withdrawal from the galvanizing bath. In circumstances where the galvanized steel becomes damp and is unable to fully dry out, access to atmospheric carbon dioxide may be limited and as a result, conversion to zinc carbonate does not take place. Instead a layer of white powdery zinc corrosion products comprised principally of zinc hydroxide and zinc oxide and known as wet storage stain, is formed (see image below). The formation of wet storage stain will continue for as long as the galvanized surface remains damp. 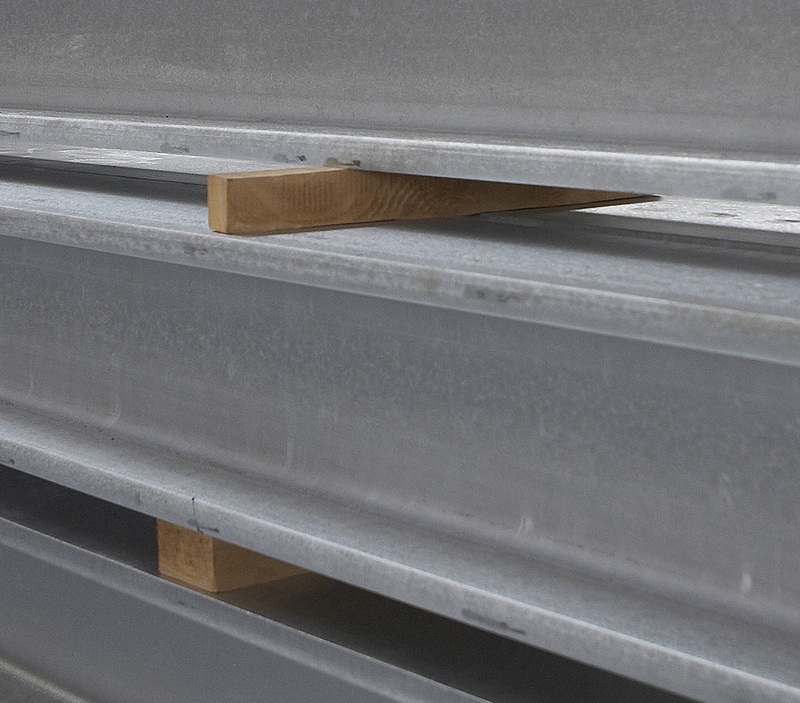 In its lightest form, wet storage stain has the appearance of a dusting of white powder on the galvanized surface and such a deposit has no discernible effect upon the galvanized coating`s thinness. Wet storage stain has a much greater volume than the zinc consumed in its formation and consequently even when heavier deposits are produced, this will typically have little if any significant effect upon the protection provided by the galvanized coating. 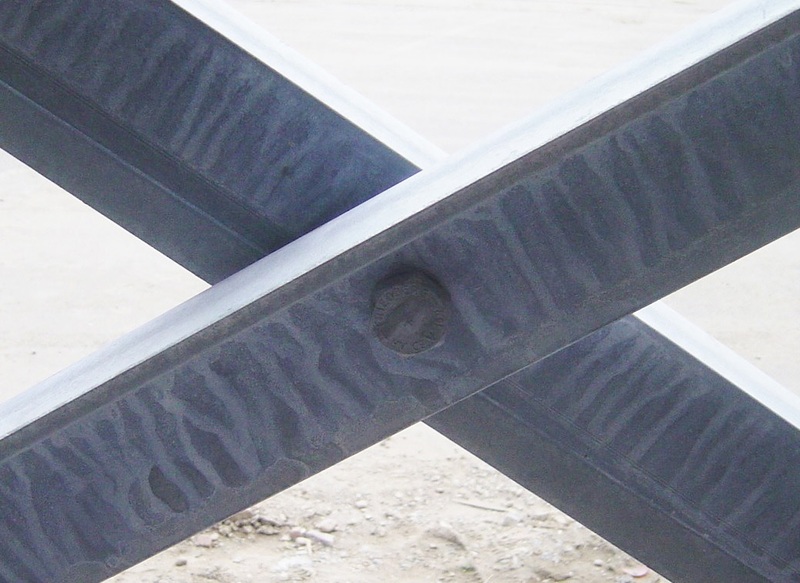 Only when very heavy tenacious deposits have formed over a long period of time is there likely to be any major concern regarding the protection provided by the galvanized coating. As a result, the presence of wet storage stain is not grounds for rejection under the requirements of EN ISO 1461:2009 unless its formation has significantly reduced the coating`s thickness in the short term. The basic principles concerning avoidance of wet storage stain relate to maintaining a dry surface, or where this is not possible, trying to ensure that drying takes place so as to minimise the period of dampness. As wet storage stain formation normally has little effect upon the galvanized coating, its removal is not essential. However, where aesthetics are important, removal might be achieved by mild abrasion using, for example, a stiff bristle wire brush or wire wool. For more tenacious deposits, chemical cleaning (with dilute acidic or ammonia solution) may be used in conjunction with mild abrasion. When chemical cleaning is used, the galvanized product should be fully washed down with fresh water and allowed to fully dry out after cleaning. It should be noted though that when wet storage stain is removed, the previous bright shiny galvanized appearance may not be restored, with a dark stain sometimes being present.